More Selection, More Savings and More for Your Trade! Please fill out this form to unlock pricing. *Price does not include dealer installed accessories. Excludes $699 Dealer Administrative Charge, tax, tag, registration, and title fees. In lieu of any special APR and lease programs supported by Southeast Toyota Finance. Also excludes transportation costs where applicable. All vehicles may not be located at the dealership. *For well-qualified lessees with approved credit through Southeast Toyota Finance. Not all lessees will qualify for this payment amount. Closed-end lease on new 2019 RAV4 LE (Non-Hybrid) model # 4430 with automatic transmission and select equipment. Adding options increases payment. $239.00 per month for 36 months. $3,538 due at signing includes $3,299 down payment and first month’s payment. No security deposit required. $23,543 Adjusted Capitalized Cost is based on down payment; excludes tax, tag, registration, title and $699 dealer admin fee. Monthly payments do not include applicable taxes. Lessee pays the remainder of maintenance after ToyotaCare expires, excess wear and use, and $0.18 per mile over 12,000 miles per year. Lease payments total $8,604. Disposition Fee of $350 due at lease-end. May not be combined with certain other offers. Must take delivery between 04/02/19 and 04/30/19. **1.9/1.9/2.9/3.49 annual percentage rate financing on new 2019 RAV4 (Non-Hybrid) with respective terms of 36/48/60/72 months. This offer applies to well-qualified buyers and requires approved credit and financing through Southeast Toyota Finance. Not all buyers will qualify for these rates. Payments may be deferred for the first 90 days; interest accrues from inception. Monthly payment for every $1,000 financed is 1.9% – 36 months = $28.69; 1.9% – 48 months = $21.72; 2.9% – 60 months = $18.01 – 3.49% – 72 months = $15.41. No down payment required. $500.00 Bonus Cash on new 2019 RAV4 (Non-Hybrid) must be used toward purchase. May not be combined with certain other offers. Excludes tax, tag, registration, title and $699 dealer admin fee. Must complete retail sale and take delivery between 04/02/19 and 04/30/19. 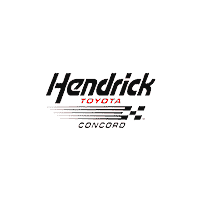 Hendrick Toyota Concord	35.365160, -80.705360.